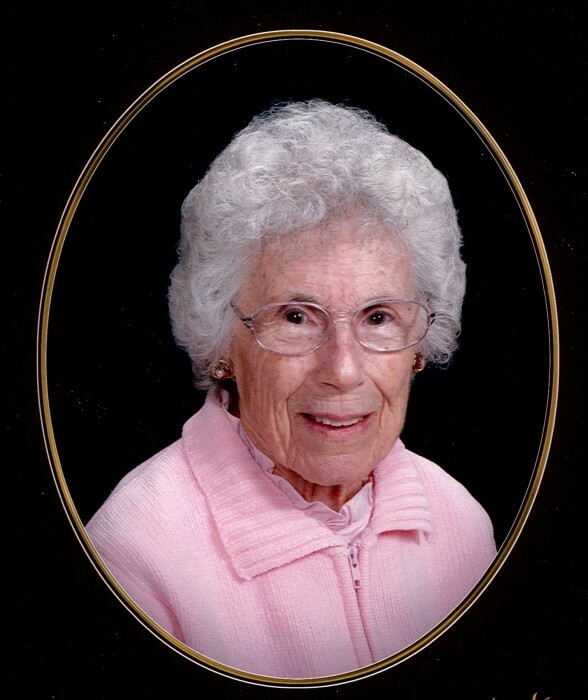 Martha Liechti, 99 of Redland, passed away March 18, 2019 at Idabel. She was born August 18, 1919, the daughter of Wilbur and Bertha James Davis. She married Wallace “Wally” Liechti May 8, 1943 and the two traveled together during his military career from Washington to Missouri. She was Baptized June 5, 1932 and was a faithful member of the First United Methodist Church in Idabel since 1966 until she began attending the First United Methodist Church in Redland due to her health declining and it was easier for her to attend services closer to her home. As a sixteen year old, she graduated Paseo High School in Kansas City, Missouri. She attended Junior College, graduating in 1939 and then completed her education, graduating with honors from Southeastern Oklahoma State University on May 16, 1975 with a bachelor’s degree in education. She was very proud of the fact that she taught school at Tom under Mr. Patton and she taught at Booker T. Washington. Martha was very active her whole life. She was a member of the Order of the Eastern Star in Jamestown, Missouri beginning in 1947 before moving to McCurtain County where she became a member of Chapter #471. She served as Worthy Matron in 1980. She was a lifetime member of the literacy program. She served on the OSU Extension Homemaker’s Council in 1966. She retired April 12, 1985 after teaching at Tom, Idabel and Broken Bow. She served as president of the Oklahoma Retired Educators Association in 1994. Martha is survived by her daughter-in-law, Mary Liechti of Redland; grandson and granddaughter-in-law, Rod and Brenda Liecthi of Redland; brother-in-law, Glenn Liechti and wife, Maxine of Independence, Missouri; numerous nieces, nephews and special friends, Corky Tarr, Sherry Burris, Alene Wicker, Pat Wilson and Deanie Citty. She was preceded in death by her parents; husband, Wallace “Wally” Liechti; son, Earl Liechti; and sister, Jane Johnson. A celebration of life service will be held at the First United Methodist Church in Redland at 10:00 am. Friday, March 22, 2019 with Pastor Tim Trujillo officiating. Interment will follow in the Denison Cemetery in Idabel. The family will receive friends from 6:00 to 8:00 p.m. Thursday, March 21, 2019 at the Clardy Funeral Service Chapel.